Get started on a rewarding career in the dental industry. Are you interested in working as a dental hygienist or dental assisting? There are so many dental colleges across the country that provide top-notch training in the dental field. Trade School Advisor provides a comprehensive list of colleges so that you can get information and find the right dental school for you. 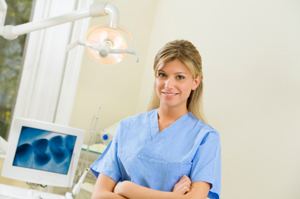 Get you the education you need to become involved in an exciting career as a Dental Assistant. If you have always wanted to be a part of the dental industry, polish off that mouse and click your favorite school to request information to begin an exciting career in the Dental Industry!